The seller was very helpful and responsive. The device is great and in a good condition as expected. The delivery service from GDex was bad as usual! The seller was very helpful and responsive. The device is great and in a good condition as expected. The delivery service from GDex is a disaster! Slow, inaccurate tracking and lazy actions. Item received in 4 days after online order was made. Recommended for good customer service and delivery speed. Trusted seller. Item received in less than a week. Packaging was superb and item was sealed. This is my third time dealing with the seller. Will deal again in the future. 2nd time buy from this seller. Very trusted. Hi do you provide adpater if the phone comes with 2pin charger? 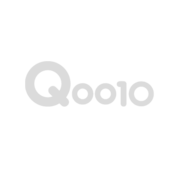 HI, the coupon can be applied via Qoo10 apps. Thanks! Hi....i still cant download the 180 coupon.There is no icon to download.I cant use when i check out.Kindly advise.Thank you. Hi, kindly refer to this link for more information https://bit.ly/2SAaQAY. Thanks! This is reply from Q010.Not available from your store. Hi, yes it is. We're sorry to infom that the coupon promotion has ended. Kindly stay tuned on our online page for more information. Thanks! Where to get coupon as stated 180? HI, any voucher available can be applied via Qoo10 apps.Thanks! How to get the discount voucher? Hi, only black and white are available in our store for the moment. Please stay tuned on our online page for more info. Thanks! If i order today,when will ship out? Hi, the delivery period is from 5 to 7 working days, barring any delays that is. The relevant online platform will update you the tracking number when it has been shipped. If you did not receive the tracking number you can chat with our team at our Facebook page ( facebook.com/tandltelecom ). Thanks!